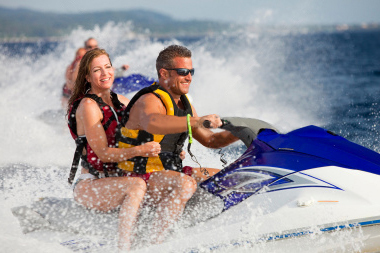 Watercraft Titles & Registration | Boats, Jet Skis, Register, Title | Shirley Katz, Inc.
We understand what it takes to keep your watercraft in the water… It takes time, and it’s not cheap! So don’t waste your time and money on paperwork! Stop in to a local Shirley Katz Insurance location and get your boat or jet ski titled & registered today. The winters are cold here in Pennsylvania, and the weather doesn’t always play nice. So don’t waste time, soak up the sun and enjoy the water with same-day service provided by Shirley Katz Insurance Inc.
With over 30 years of watercraft title and registration experience you can rest assured that we have seen it all, no case is too complicated. We work with PFBC to help provide the fastest possibly service.. Stop by on your way to the lake, you’ll walk out with all of the paperwork needed to get on the water. With three convenient locations in Stroudsburg (18360), Marshalls Creek (18301), and Brodheadsville (18322), we’re most likely on the way to your destination. Just looking for some quick answers about registering or titling your watercraft? Feel free to contact a friendly Shirley Katz representative today!